Sis. 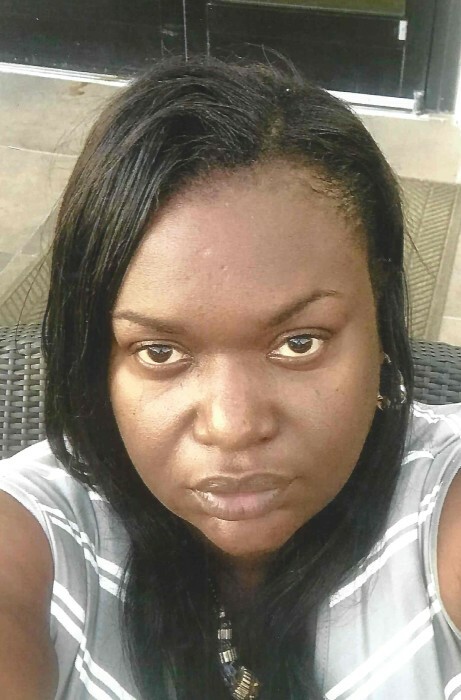 Miochell Patrice Washington, 31, departed this life on Sunday September 2, 2018 at her home in Marion County. She was the daughter of Michael and Margaret Washington. You may visit the family at 3811 Grady Rd. Rains. Funeral services are scheduled to be held at the New Hope Holiness Church, Rains Saturday September 8, 2018 at 3:00pm. She will be laid to rest in the Florence National Cemetery, Monday September 10, 2018 at 11:00am. The Veterans Honor Guard of Florence will be in charge of rites. Miochelle Patrice Washington was born on August 26, 1987 to Margaret and Michael Washington. She departed this life on Sunday September 2, 2018 at her residence in Rains, South Carolina. Miochelle graduated from Creek Bridge High School in May 2006. She joined the United States Army in April 2008 and served until August 2011. Miochelle furthered her education at Virginia College of Florence SC, graduating in 2016 with an Associate Degree. She was most recently employed with Fresenisus Dialysis Center of Marion SC. Miochelle leaves to cherish her fond and loving memories to the following: one daughter, Paris “Snug” Rowell and special friend Markus Rowell, her parents Michael and Margaret Washington-all of Rains, SC; sister: Kimberly Godbolt-Rains SC, brothers: Dallas Godbolt-Columbia SC, Artavia Godbolt-Rains SC, Niece: DeLisa Godbolt-Columbia SC; Grandmother Mary Jones Washington-Rains SC, two aunts: Shirley Washington-Lois SC, Marcella McClellan-Rains SC, two uncles: Rev. Donny Washington-Dillon SC, Lee Carl “Red” Godbolt-Washington, D.C, three special cousins: Shaneke Middleton-Lois SC, Marquita Middleton-Rains SC, Dante Gore-Loris SC, three God Children: Latrell Wilson, Jykaya Wilson, Jaliya Wilson. Best friends: Jessica Wilson, Kenynata Bell-Rains SC, Esther Shuler-California, Brooke Gerald-Rain, SC, Darrell Gerald-Rains, SC, and Latosha Brunson-Rains SC, 2nd mom- Edith Williams-Rains SC, special aunt Lora Rowell-Marion SC, and numerous other loving family and friends.